Oh. My. Gosh. That thing is absolutely beautiful. The first pic is before the new LED's and the second is after new cool blue LED's and vellum replacement. Just a quick question, I know some of the 2xxx series receivers and gear came both black face. champagne and of course silver face. Are any of these worth more to a perspective buyer. I found this listing of a bunch of Japanese makers. they list value,going prices and rarity. A cool site you got to check it out. So a few receivers had black faces and seem to be more rare. I suppose if they are original and in comparable condition the black face receivers would be worth more. There are a some aftermarket black faces available too. I saw one guy makes a black face for the 2270 that looks great but I am not sure what it might do to the value. From a collectible standpoint as original as possible will bring more value and certainly functionality would increase or decrease value. 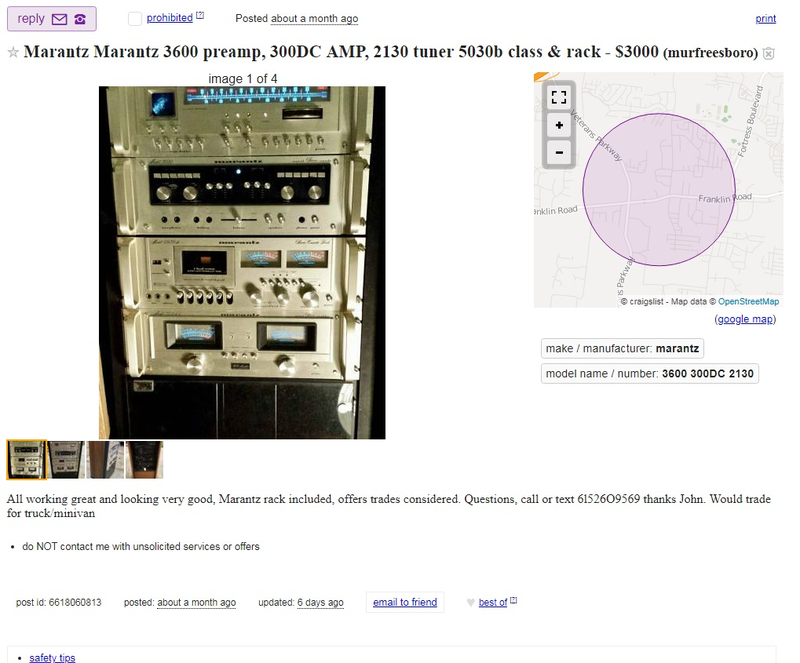 Like any good audio component they are heavy and shipping them around is costly and somewhat risky. 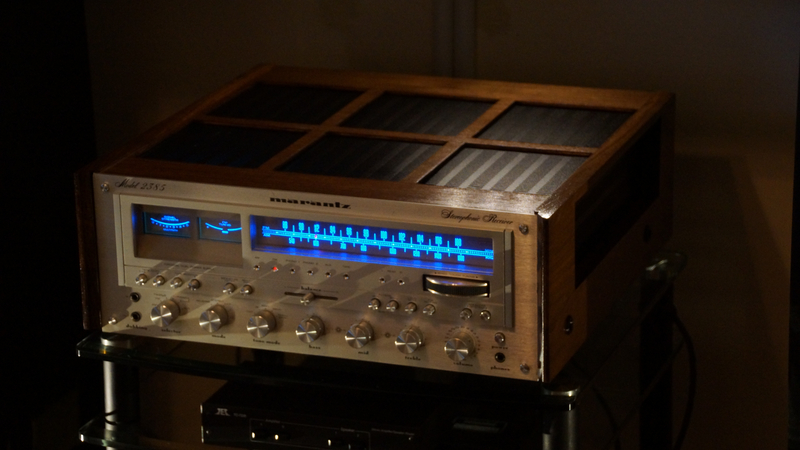 When you have one in fine working condition they sound great and the aesthetics are off the charts (imho). Finding someone who can do it and shipping it will add a lot to your cost. The rebuild and restore with shipping on mine easily exceeded what I paid for it. 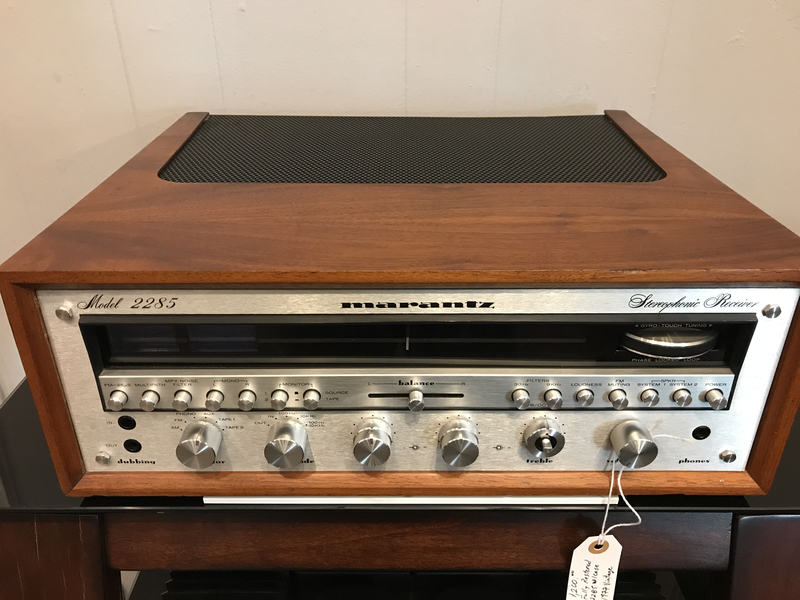 Hey Mickey, I know $700 for an old Marantz TT sounds like a lot, why not spend twice or three times that on a proper TT from that era. 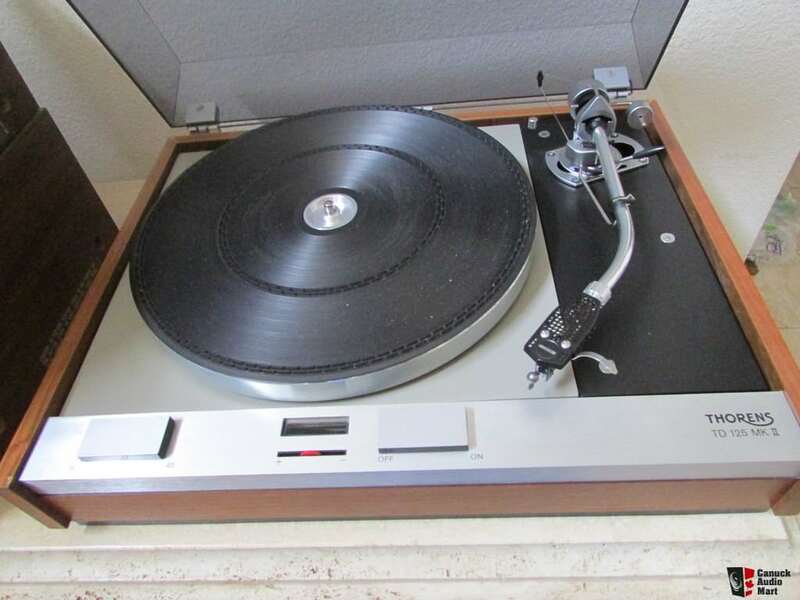 A Thorens 125MKII with a SME arm, Shure V15 of your choice will look gorgeous next to the Marantz and sound unreal. It's mid century modern looks with that in yo face 1970's glitz will not only a looker, but sound unreal! I've owned mine since 1977, a new belt every other year and a sip of oil for the motor, it will out live me. 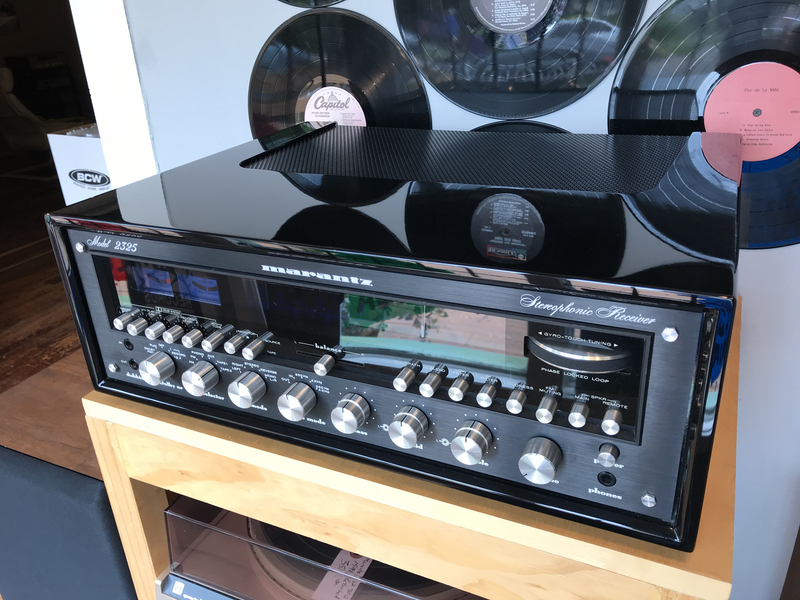 Synergy can be your friend, these componets were built to be the best in their day, a vintage showpiece system should be just that. Have fun, enjoy~! ooh, that's nice -- although the photo does appear to show a Stanton cartridge. 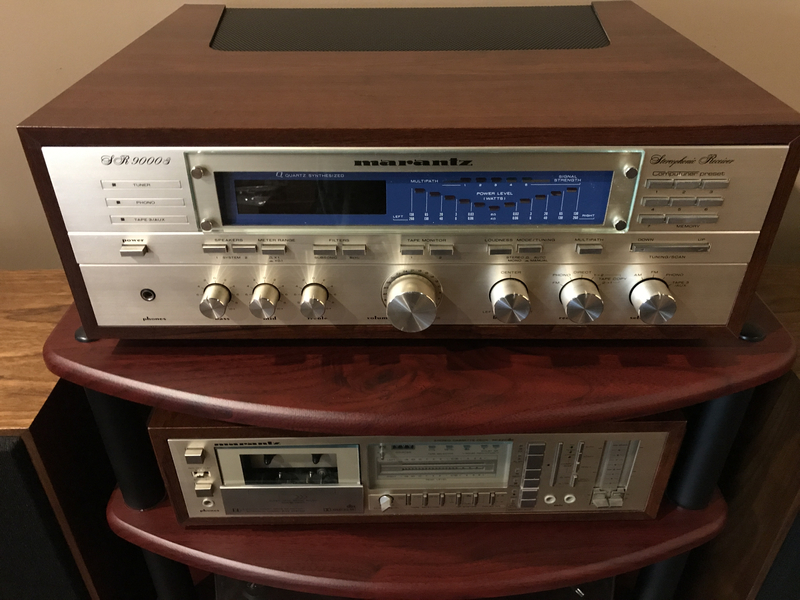 Nakamichi ZX7 3 head cassette deck (wish I still had) Made GREAT tapes. I received and installed the new lamp housing today. I opted for a reproduction part as opposed to a vintage part as these would be old and brittle like the one I had which was falling apart. The new one is made of ABS plastic on a 3D printer. Pretty easy replacement and it fit perfectly. The dial is now as nice as I have seen it with no light leakage and a beautiful blue glow. The unit is now as functionally and cosmetically to my liking as I think I can get it to. Runs cool and sounds AMAZING!!! Worth the expense and effort IMHO. The jealousy is real right now. That is truly stunning. 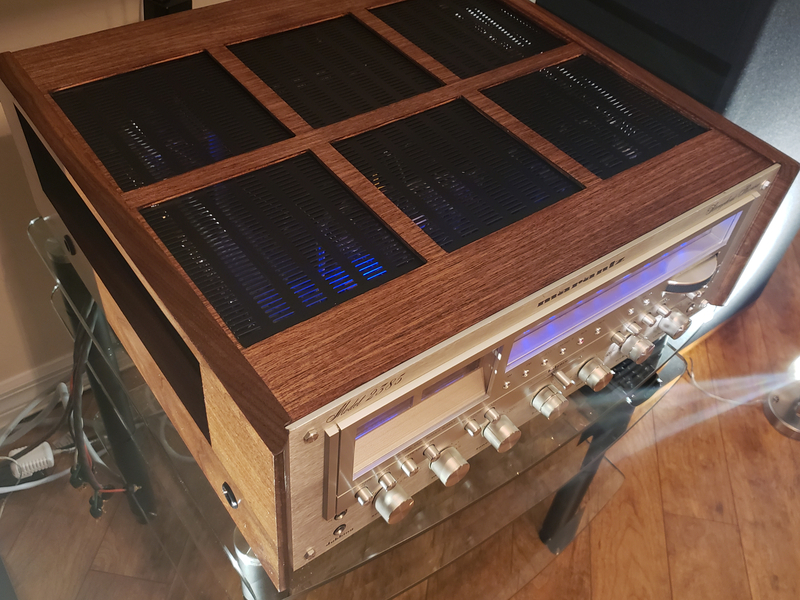 Glad to be done carrying it from the bench to the rack.... It's slightly heavy. 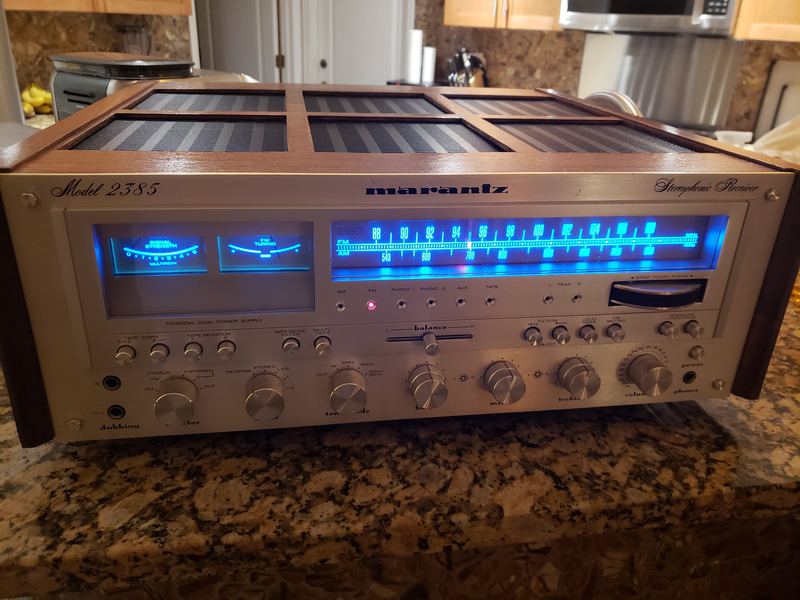 I refurbish vintage Marantz it’s good business for my little shop. Here are a few recent offerings. When we first opened they didn’t command the prices they do now. That last one is especially gorgeous, and that's saying quite a bit!! That one at one time was my personal receiver I refurbished it about 1-1/2 years ago the case was done with automotive paint not a single swirl on it like a mirror.